I've told the story here before of how my husband and his parents, on a late night drive through a snowstorm in northern Ontario, followed tire tracks through the snow. Though these were fresh tracks—had to be because the wind and snow would have obliterated them in minutes—they never saw the back lights or any other sign of the vehicle leaving them. Once out of the storm the tracks disappeared. Was an angel guiding them? The apostles never had to ask such a question. The angel that came to them not only opened the prison doors and led them to freedom but talked to them, telling them what to do next. An angel told Zacharias he would have a son who would be God's forerunner (Luke 1:11-17). An angel told Mary she would be Jesus' mother (Luke 1:26,27). An angel reassured Joseph about Mary and told him not to divorce her but to take her as his wife (Matthew 1:20). A single angel, accompanied later by a host announced Jesus' birth to the shepherds (Luke 2:9,13). An angel warned Joseph to flee Bethlehem so Jesus' life would be spared from jealous Herod (Matthew 2:13). 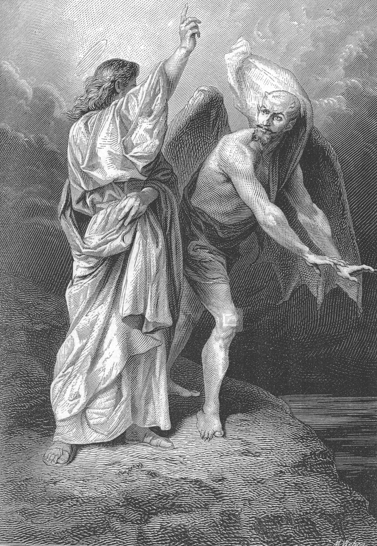 Angels ministered to Jesus after His temptation (Matthew 4:110. Angels are beings created by and for God - Colossians 1:16. Jesus has authority over angels in heaven - 1 Peter 3:22. Angels spend much time there praising and worshiping God and Jesus - Revelation 5:11,12. Angels desire to "look into" prophecy about Jesus and its fulfillment - 1 Peter 1:12. This tells us that they don't have full knowledge of these things. Good angels are called "ministering spirits." At least one of their jobs is to minister to (help, serve) those who will "inherit salvation" - Hebrews 16:14. Some angels sinned and will be judged - 2 Peter 2:4. Fallen angels are a believer's enemies. We need to resist them—something we can only do with the proper spiritual armor - Ephesians 6:12,13. I love it that God's plan and design includes these mysterious beings, and look forward to the time in eternity when their presence will be visible and understood. PRAYER: Dear Lord, help me to be as obedient, adoring, and worshipful as angels. Amen. MORE: I'd love to see an angel.